(CBS) - The United States Mint produces four million pennies every year. To hear one man tell it, that's four million too many. Who uses pennies anyway? Here at The Feed HQ, we don't even like getting pennies as change. Just keep 'em. Or better yet, get rid of pennies altogether! 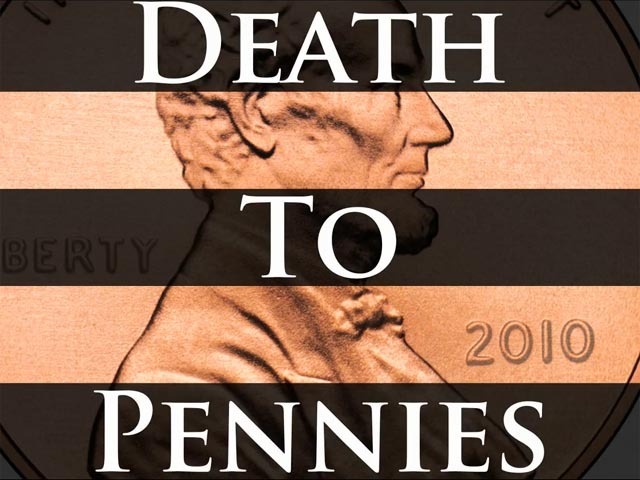 The aptly named "Death to Pennies" explains why we should lose those copper coins once for all. This enlightening and entertaining video comes from CGPGrey. We've featured his work before and always come away with learning something new. Check out his blog HERE for more edutainment.